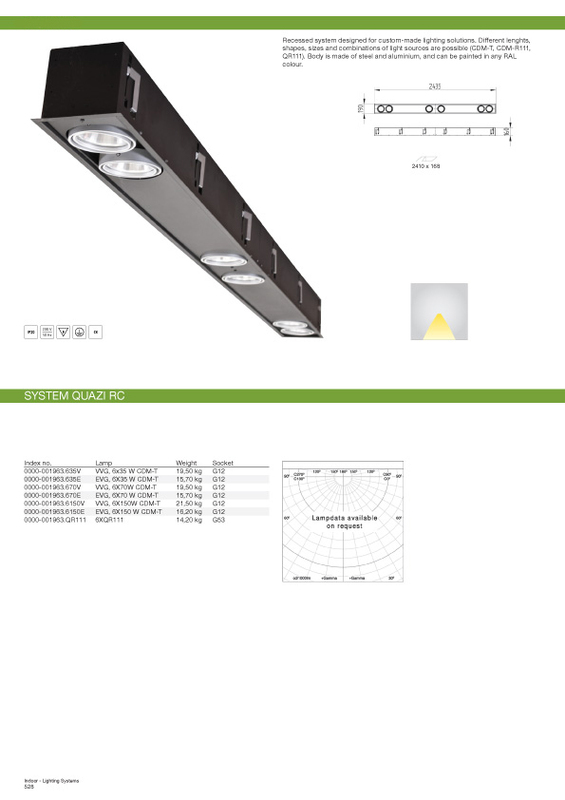 Recessed system designed for custom-made lighting solutions. 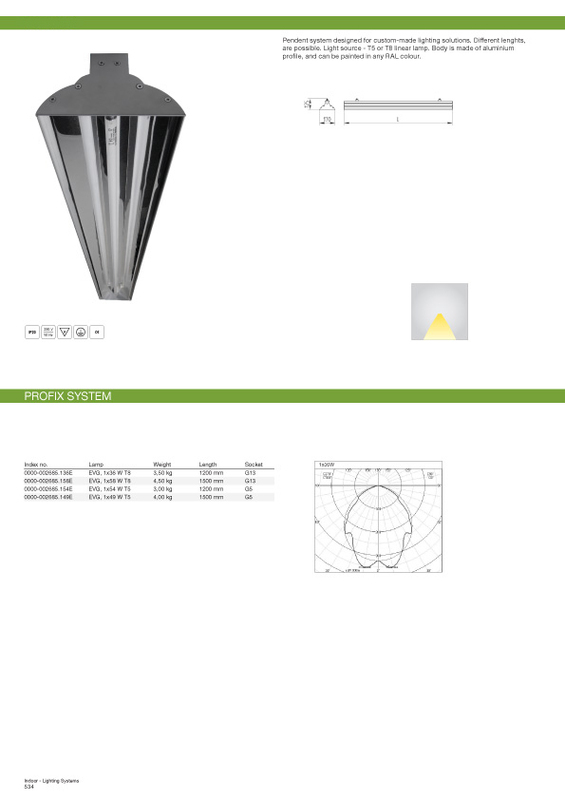 Different lenghts, shapes, sizes and combinations of light sources are possible (CDM-T, CDM-R111, QR111). Body is made of steel and aluminium, and can be painted in any RAL colour. 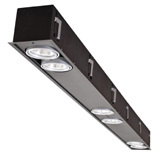 Surface mounted or pendent system designed for custom-made lighting solutions. 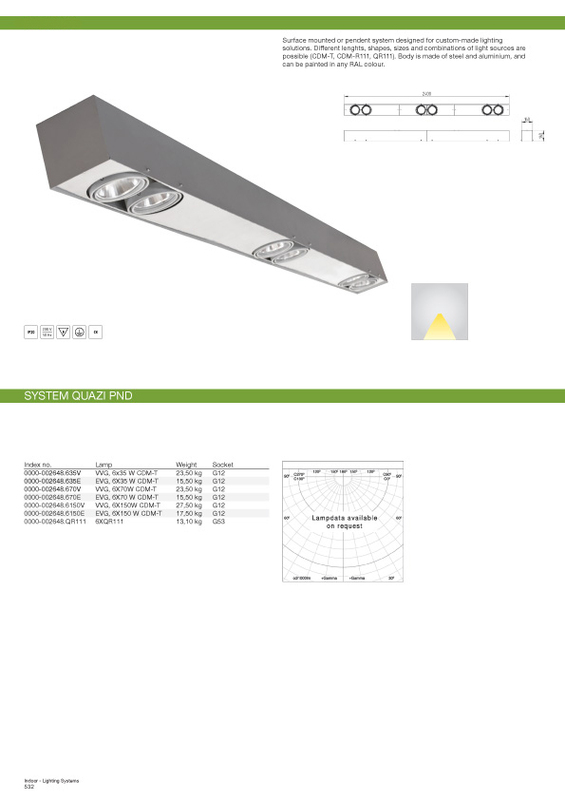 Different lenghts, shapes, sizes and combinations of light sources are possible (CDM-T, CDM-R111, QR111). Body is made of steel and aluminium, and can be painted in any RAL colour. 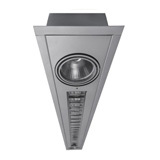 Recessed system designed for custom-made lighting solutions. Different lenghts, shapes, sizes and combinations of light sources are possible (T5 linear lamp, CDM-T, CDM-R111, QR111). Body is made of steel and aluminium, and can be painted in any RAL colour. 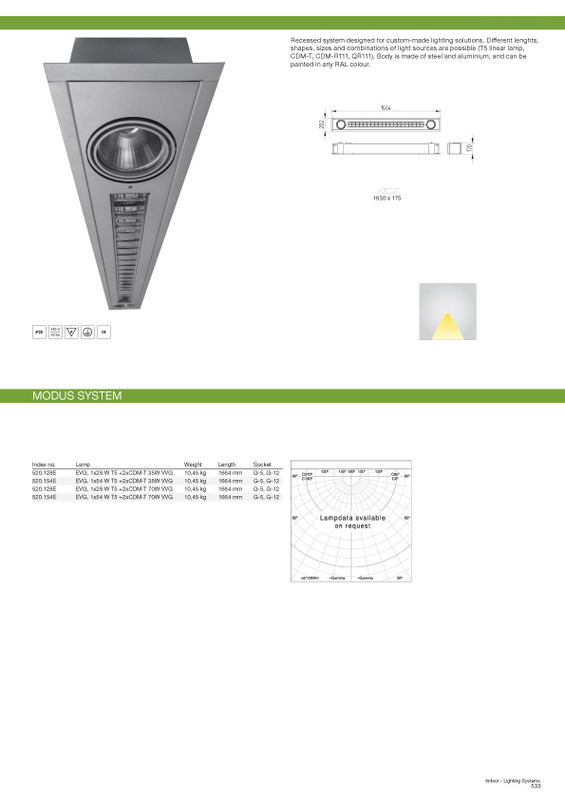 Pendent system designed for custom-made lighting solutions. Different lenghts, are possible. 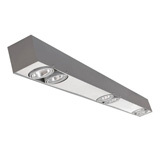 Light source - T5 or T8 linear lamp. 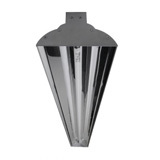 Body is made of aluminium profile, and can be painted in any RAL colour.